From the rare and desirable to the unusual and affordable. 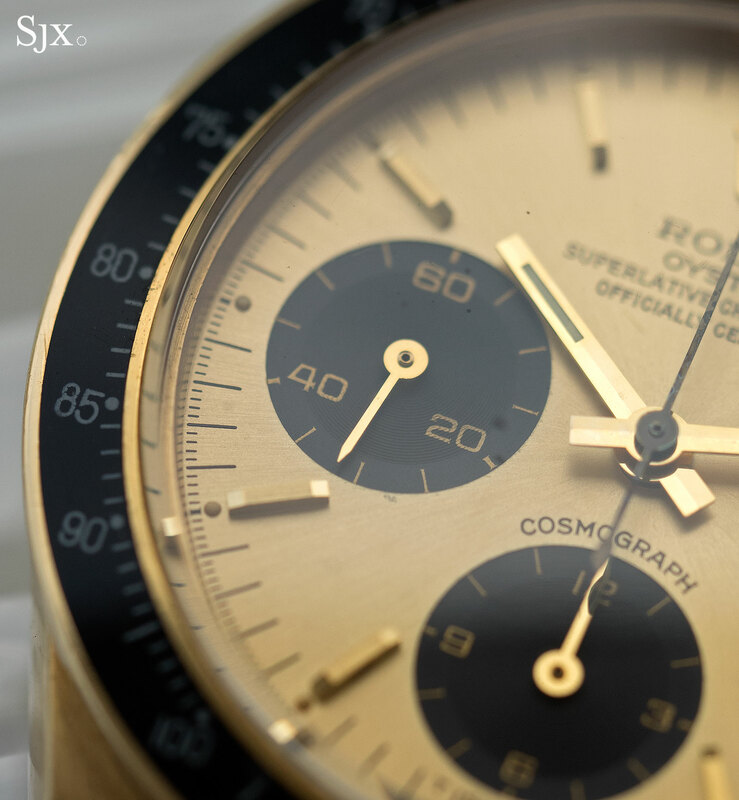 Rolex typically accounts for the biggest proportion of turnover at any watch auction – a Rolex wristwatch just sold for over US$5m last week – with the star performers being late 20th century sports models, the very same watches that form the core of contemporary Rolex collecting. 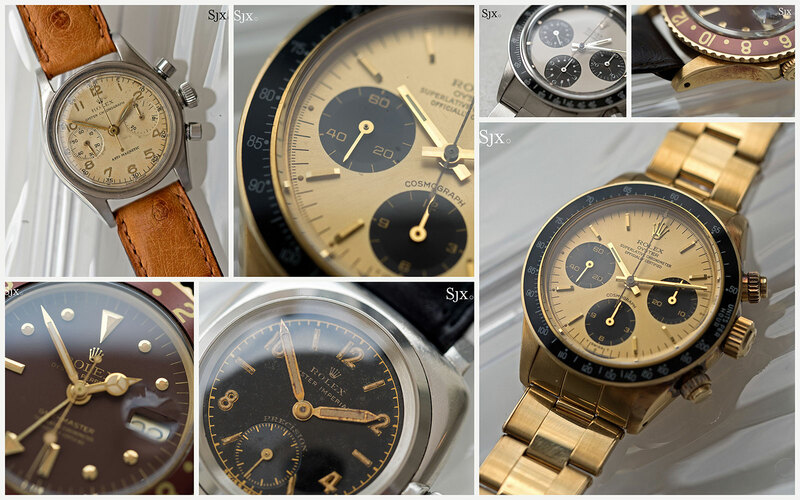 But there is more to Rolex than the “Paul Newman” Daytona and “gilt” Submariner. 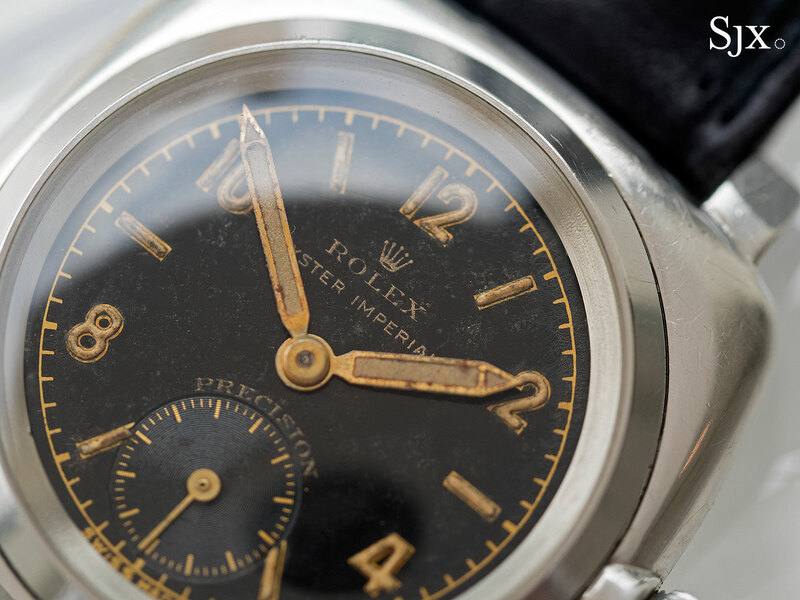 Here are five Rolex highlights from Christie’s upcoming Hong Kong watch auction that range from valuable watches that are in vogue, to the intriguing and affordable. 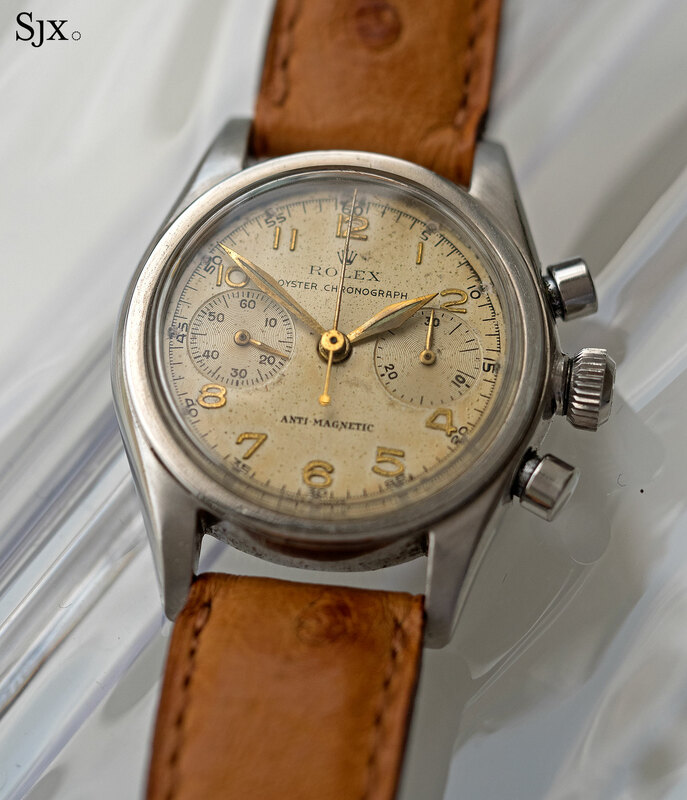 And also remember to check out the top picks from Patek Philippe, as well as modern complications and independent makers, in the same auction. 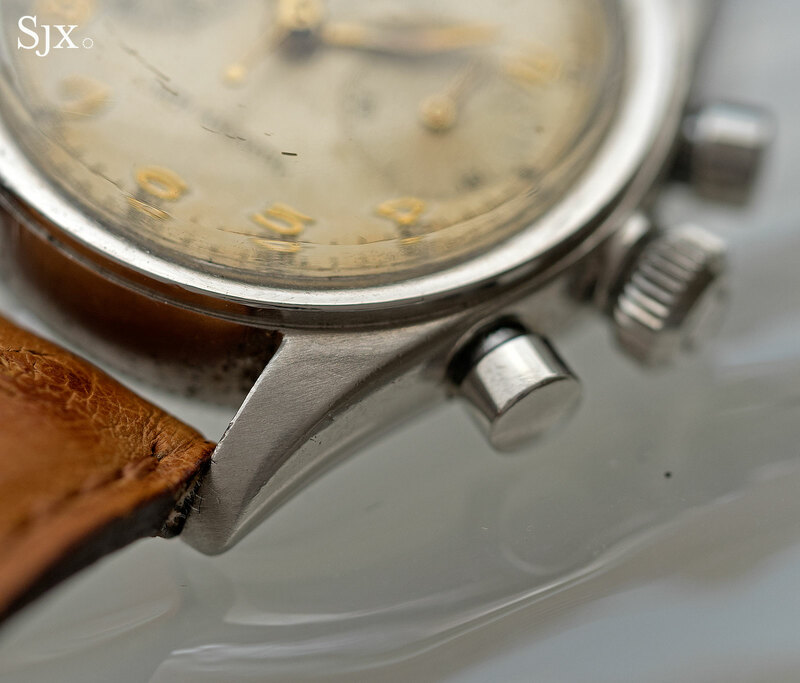 This 1930 Oyster Imperial is an early waterproof Rolex wristwatch that has a cushion-shaped steel case equipped with all the signature Oyster case features – a screw-down crown, fluted case back and screw-in bezel. 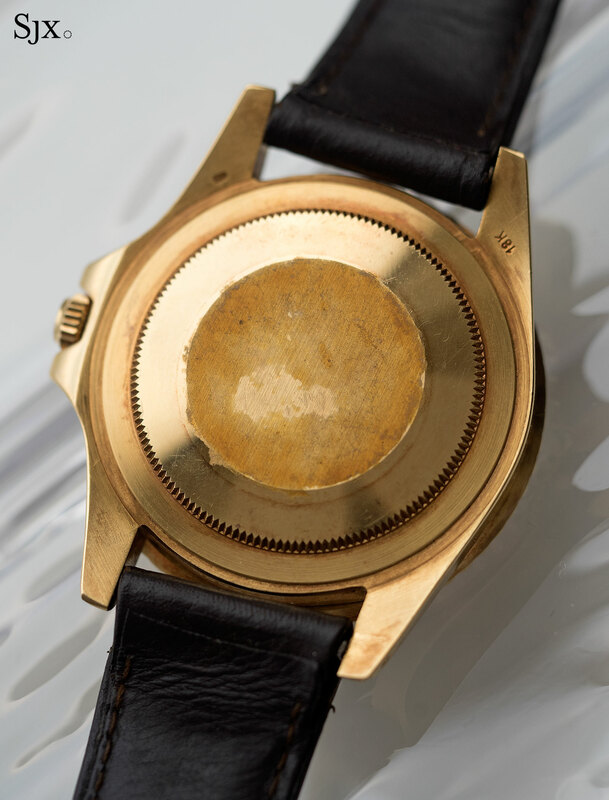 And it is fitted with an attractive black lacquer dial, albeit one with cracks on its surface. 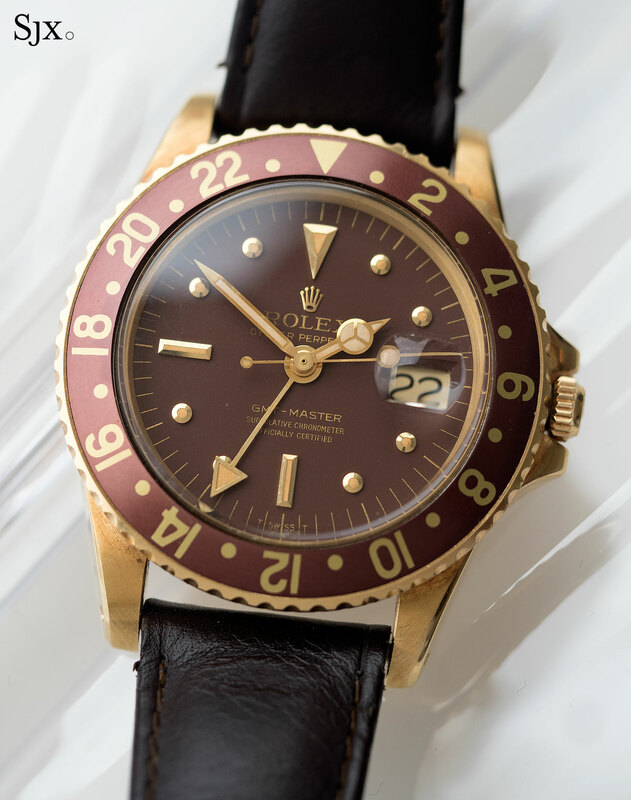 But more intriguingly it strongly resembles early Panerai watches, which were of course manufactured by Rolex since Panerai was founded as an instrument manufacturer rather than watchmaker. 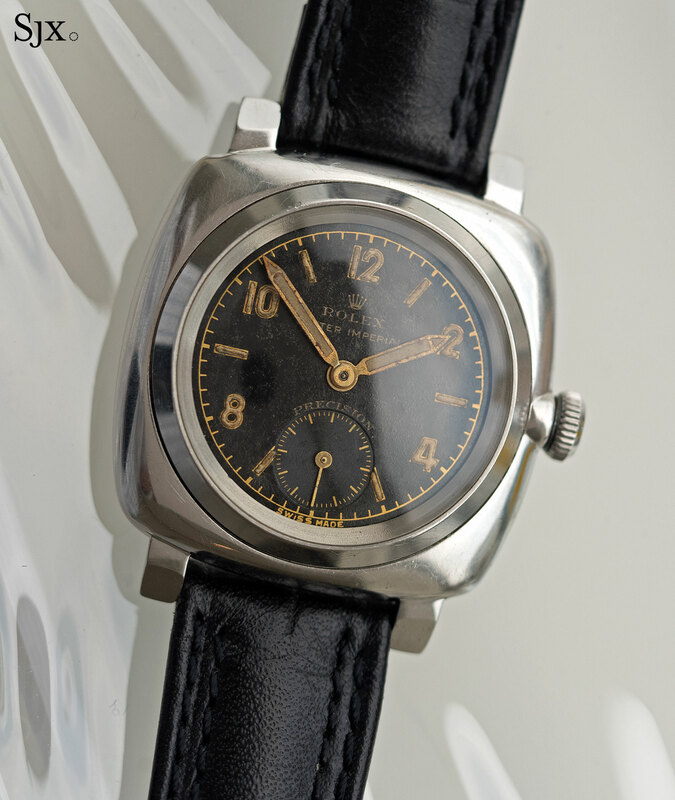 In fact, this Oyster Imperial (along with many other Rolex watches of the period), heavily resembles what Panerai now labels the Radiomir 1940, which was historically the ref. 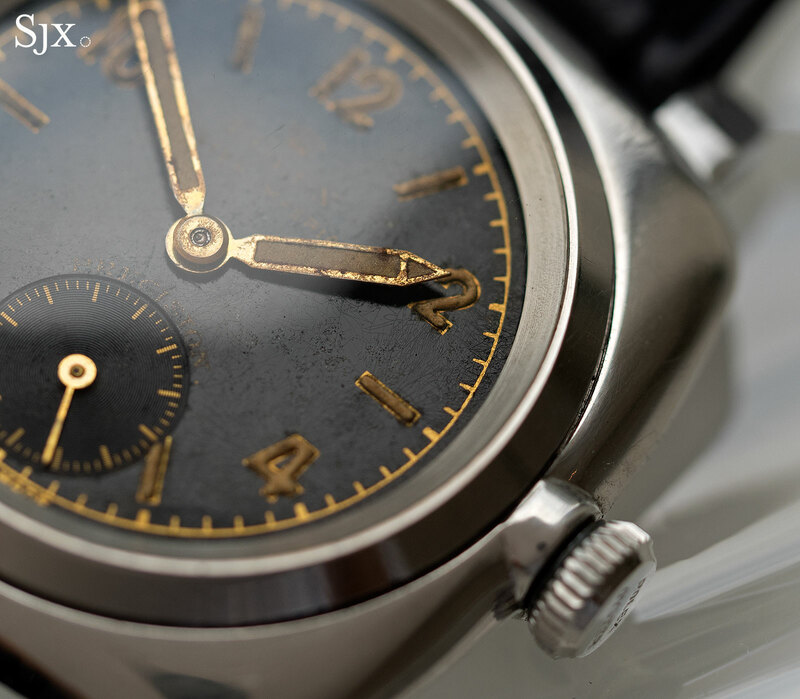 3646, a transitional model between the earlier Radiomir watches and later Luminor models. 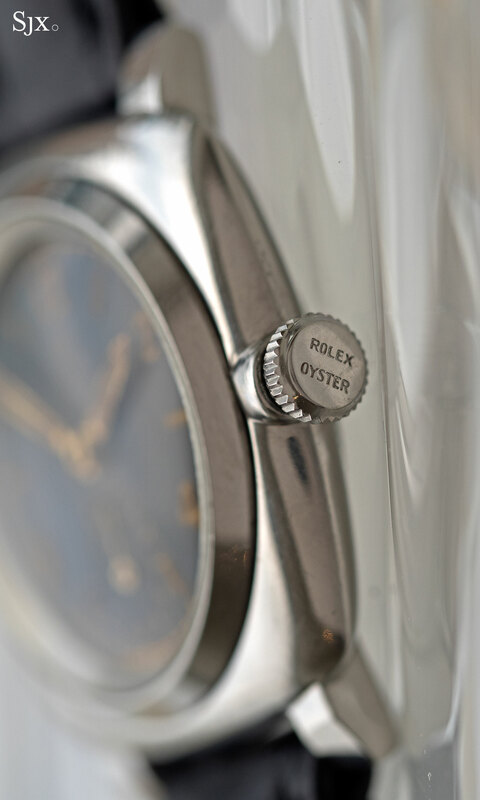 That being said, the Oyster Imperial is a dinky little watch, with a case that’s just 32mm in diameter. 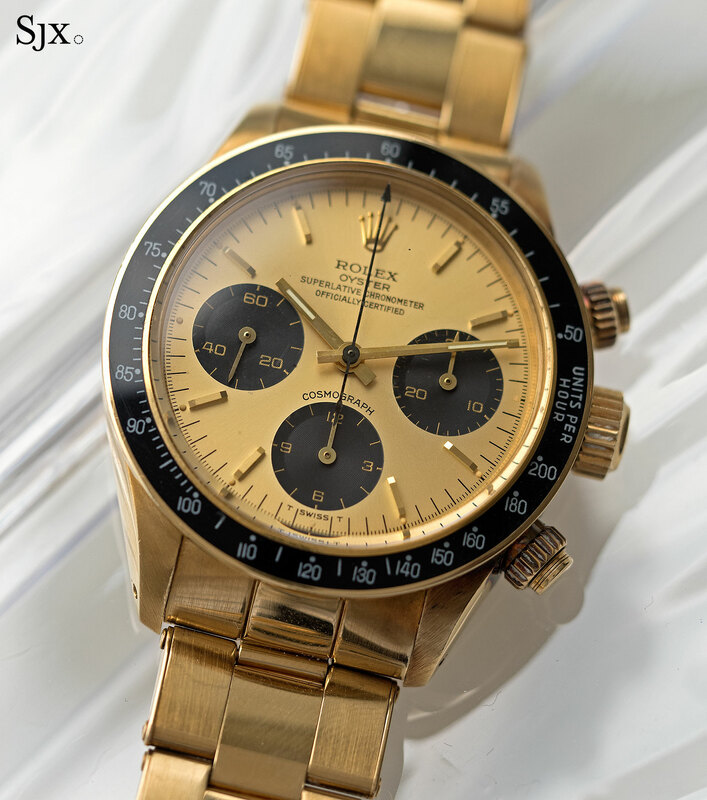 Consequently it is estimated at a modest HK$25,000 to HK$40,000, or US$3300 to US$5200, an eminently reasonable sum for a historically interesting wristwatch. 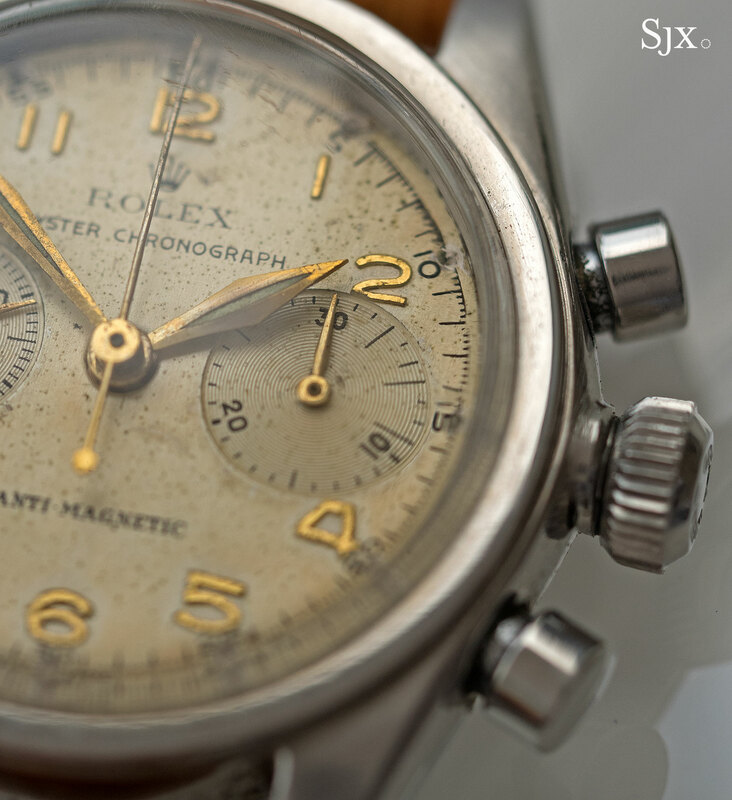 Yet another early and under appreciated, albeit undersized, wristwatch by Rolex – the Oyster chronograph ref. 3481. Produced in the late 1930s, the ref. 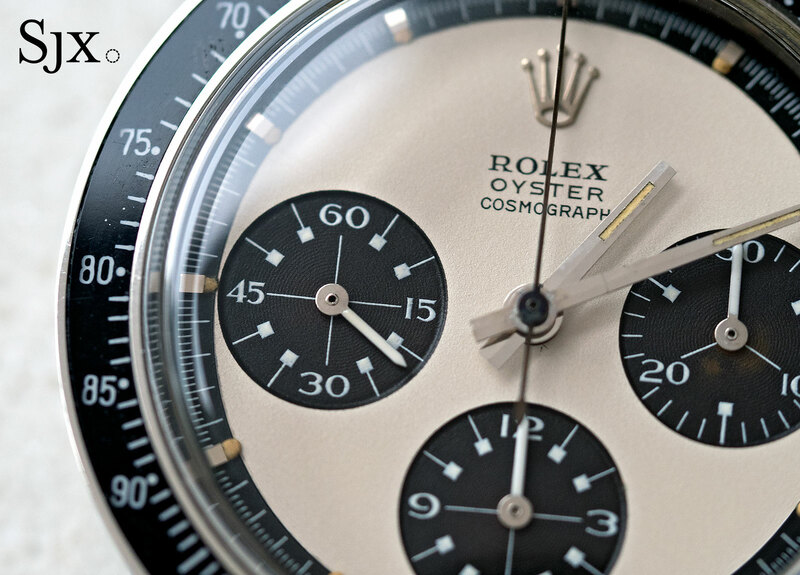 3481 was one of the earliest Rolex chronographs (almost contemporaneous with the more exotic Zerographe), the predecessor of better known watches like the Cosmograph Daytona. 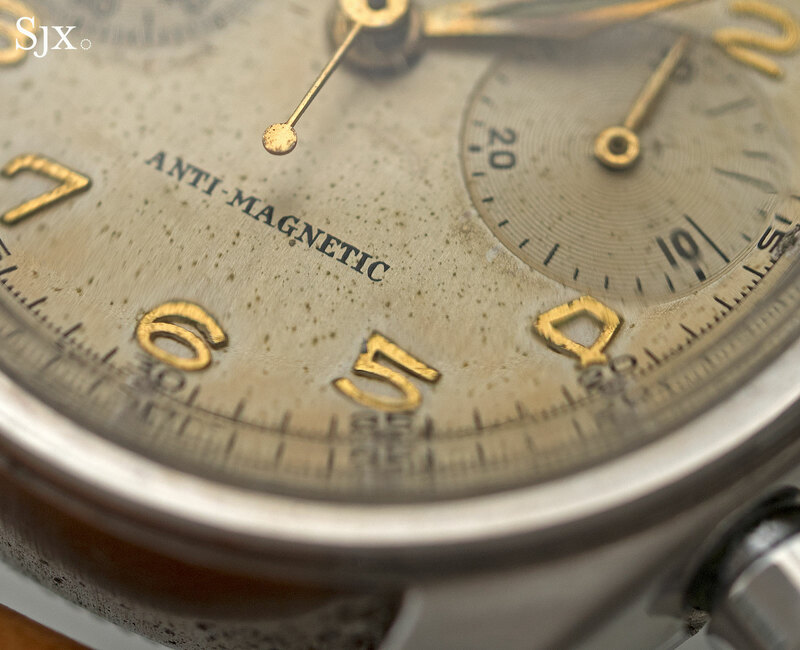 This example dates to 1939 and is marked “Anti-Magnetic” on the dial. 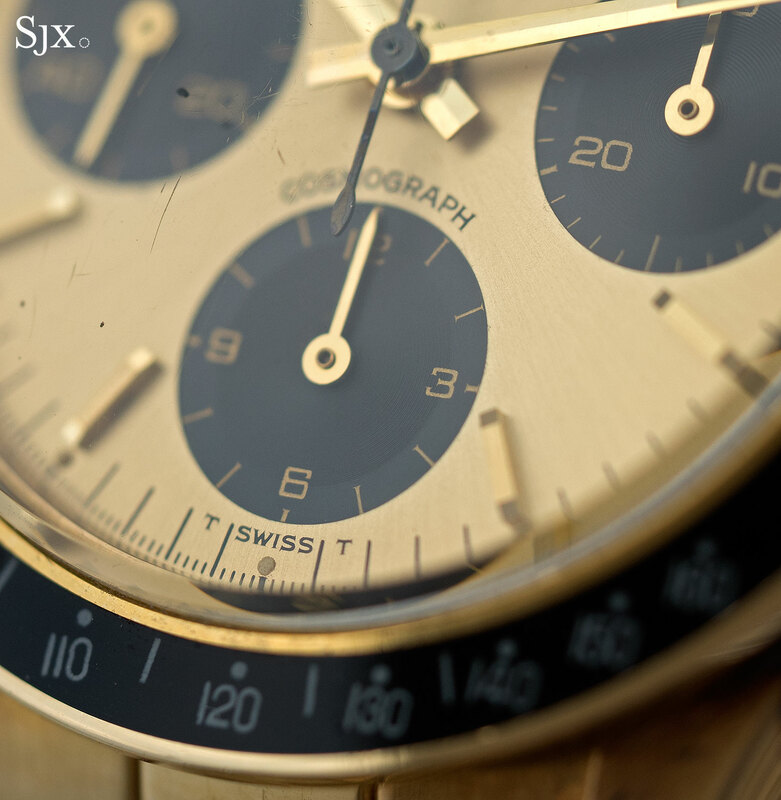 It’s in handsome condition, with a well maintained case and appealing dial. 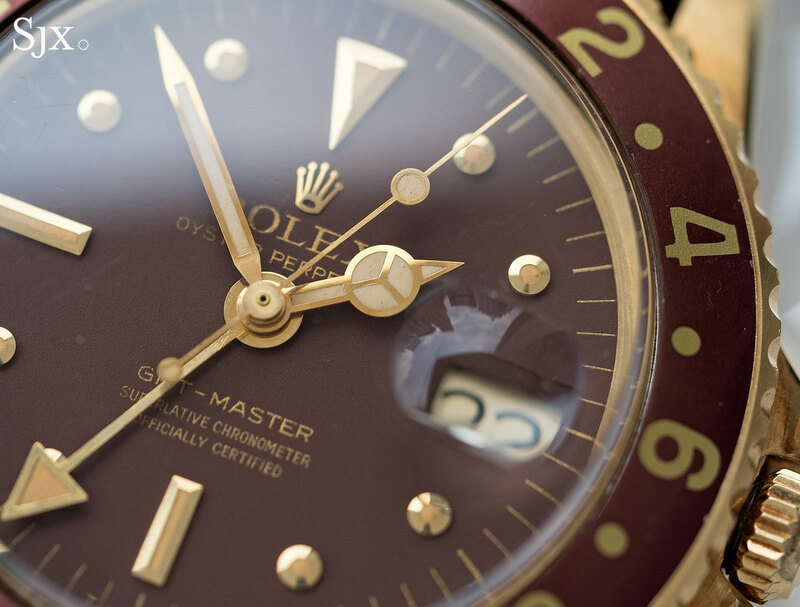 Despite showing visible age, the dial remains appealing as the discolouration is mostly even. 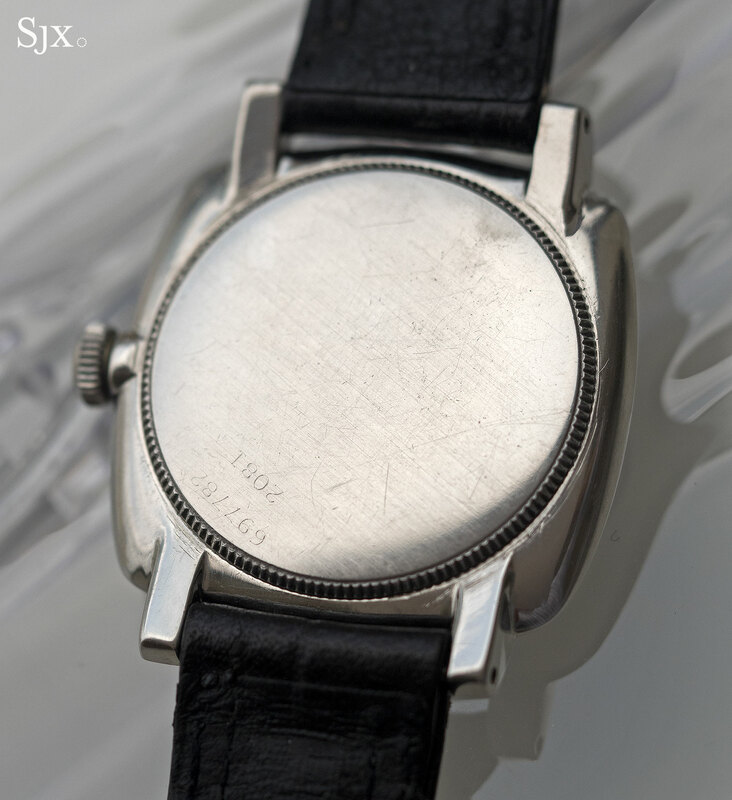 Like many other watches of the period the case is small, just 29mm wide. 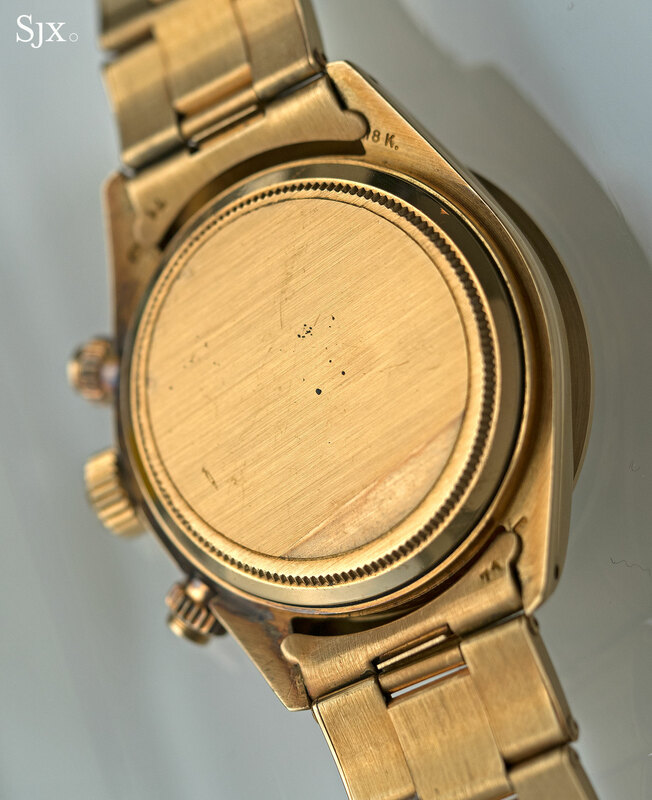 Notably, it is accompanied by a period Rolex box marked “Philippe Beguin”, a now defunct store in Geneva that was once a prominent Rolex retailer, the very same shop, in fact, that sold the Last Emperor of Vietnam the diamond-dial ref. 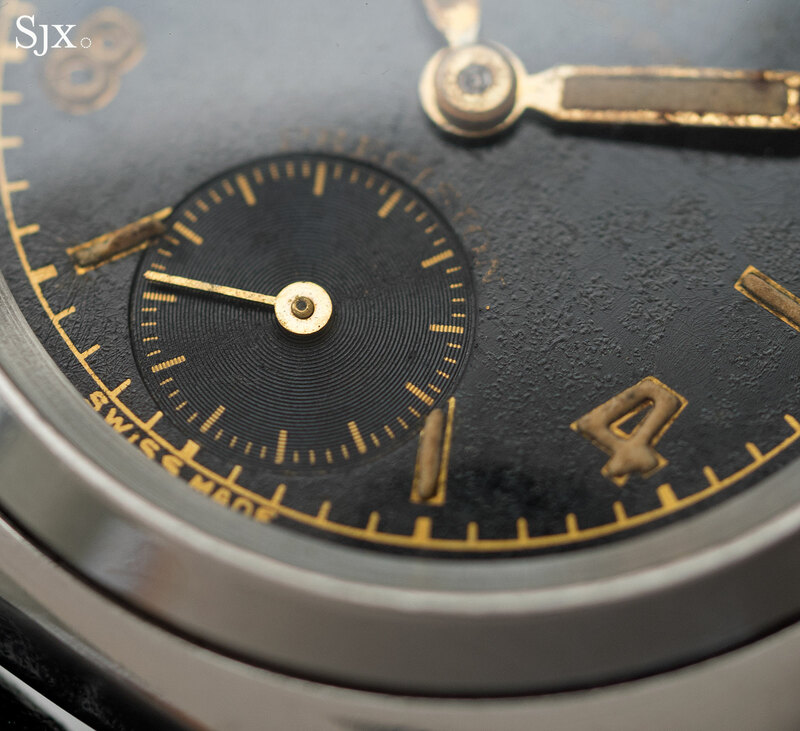 6062 “Bao Dai” that recently became the most expensive Rolex ever sold. 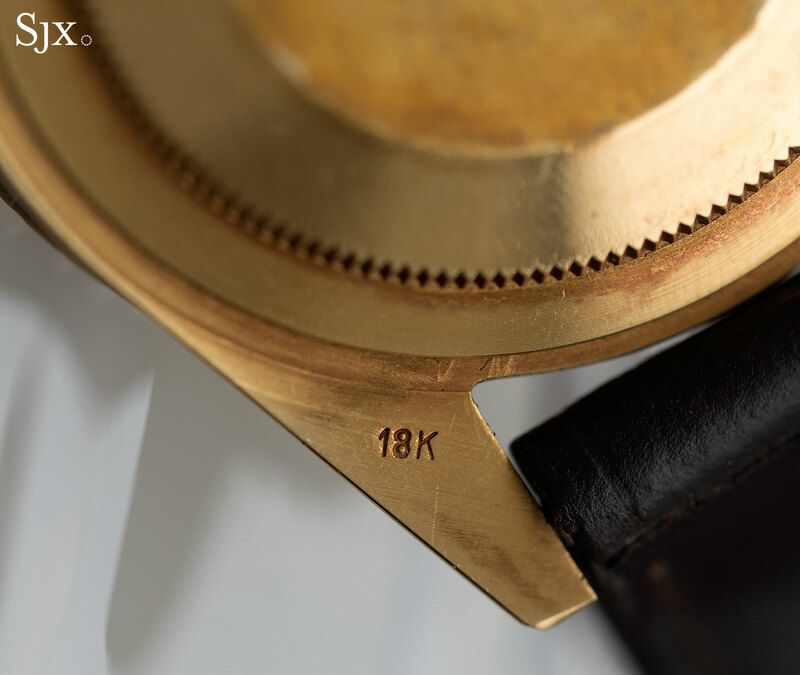 This is estimated at HK$80,000 to HK$120,000, or US$11,000 to US$16,000. 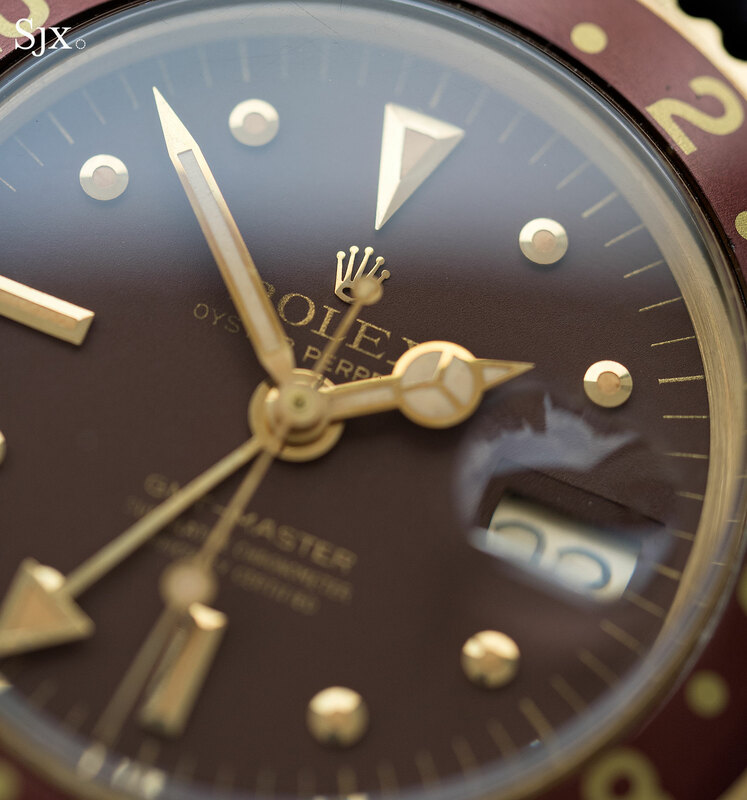 Unlike the preceding lots this GMT-Master is more in keeping with current tastes in vintage Rolex collecting. 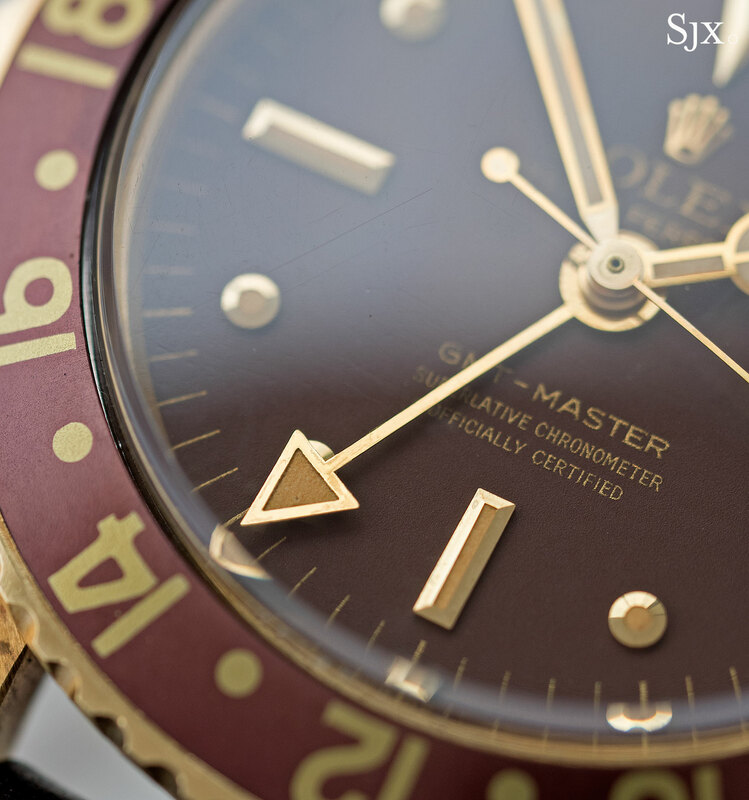 Dating from 1971, it’s a typical yellow gold GMT-Master of the period, featuring a matte brown dial and matching bezel. 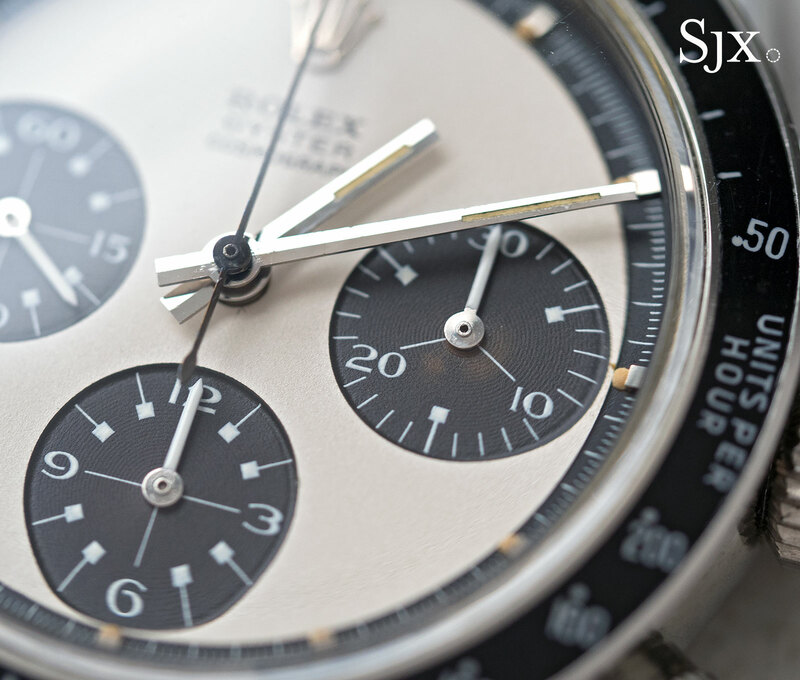 While not an exceedingly rare watch in itself, what sets this apart is its remarkable condition. 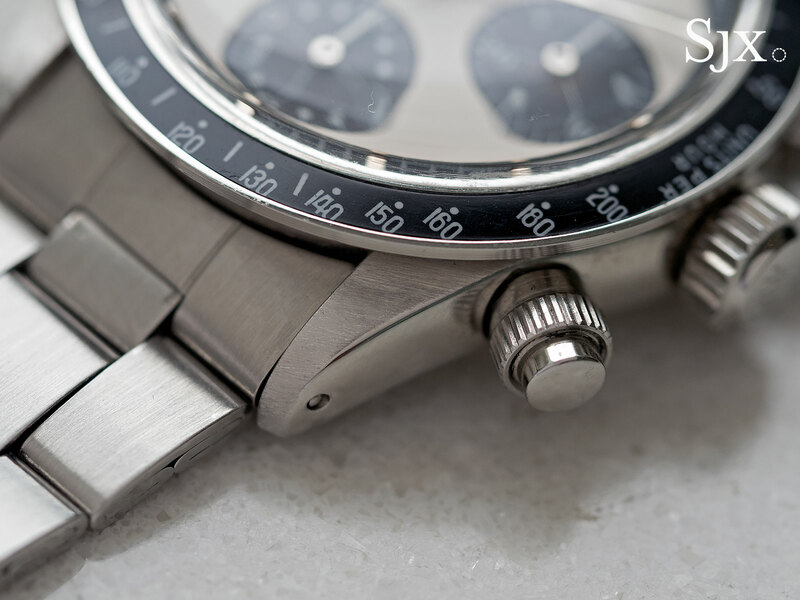 Having been worn little over the 45 years since it left the factory, the watch is in remarkably crisp and original condition. 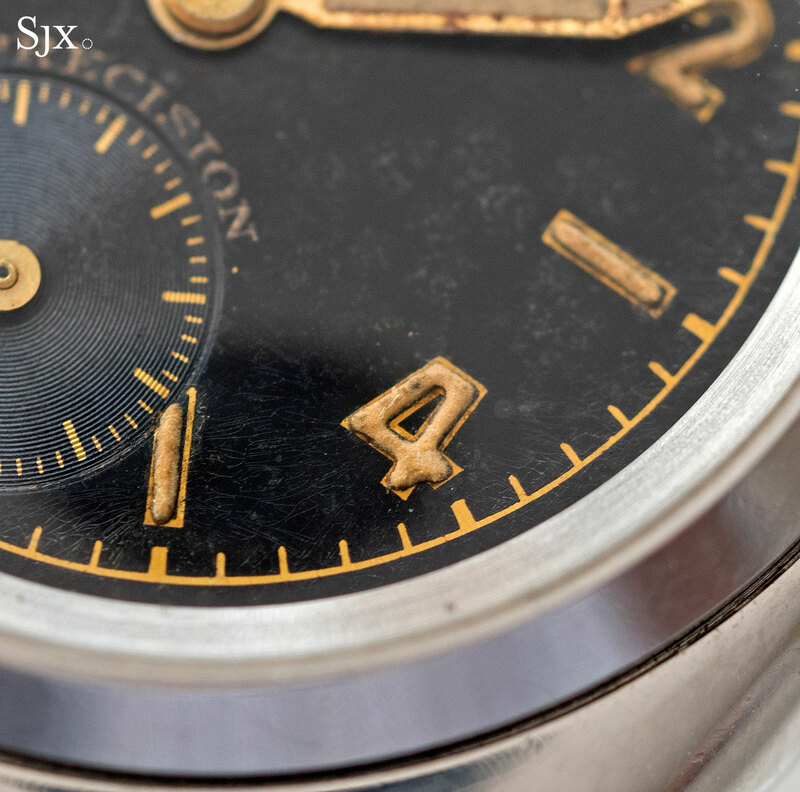 The case retains its signature bevels lengthwise along the lugs, as well as fresh hallmarks. 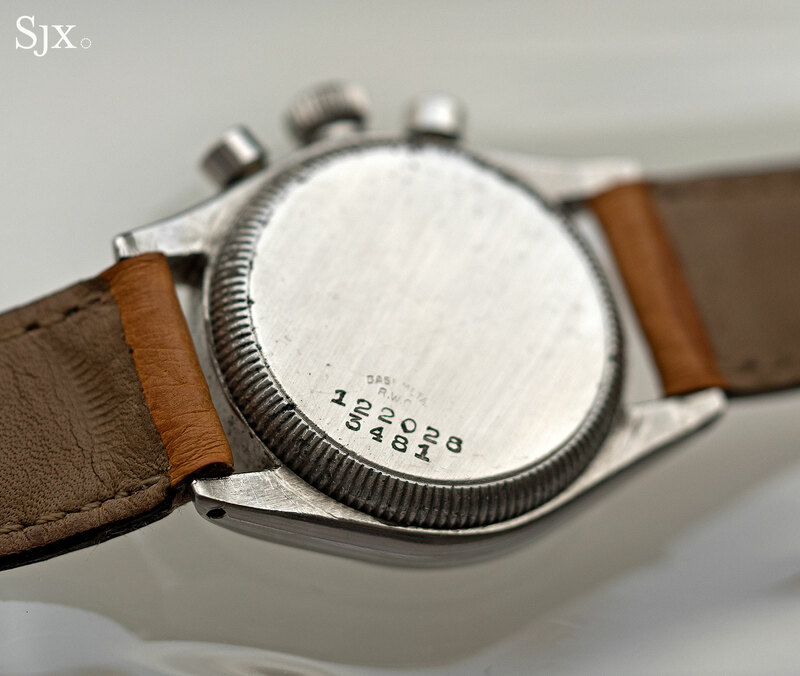 More significantly, the back of the lugs are practically unmarked, meaning a bracelet was never fitted to the watch. 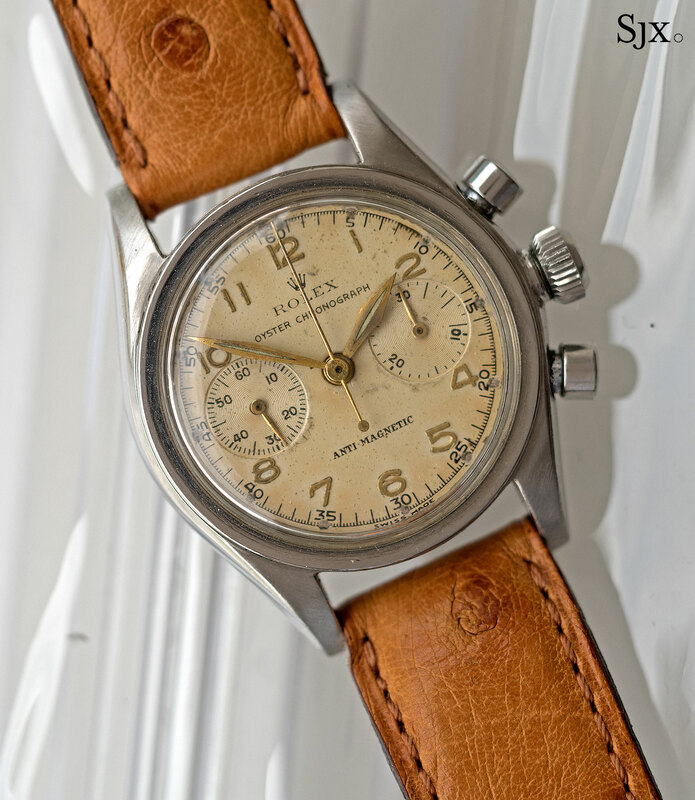 This example boasts an attractive combination of qualities: being new enough to hardly look like a vintage watch, yet with barely enough wear to make it easy to wear, unlike an actual, unused “new old stock” wristwatch. This is estimated at HK$100,000 to HK$200,000, or US$13,000 to US$26,000. 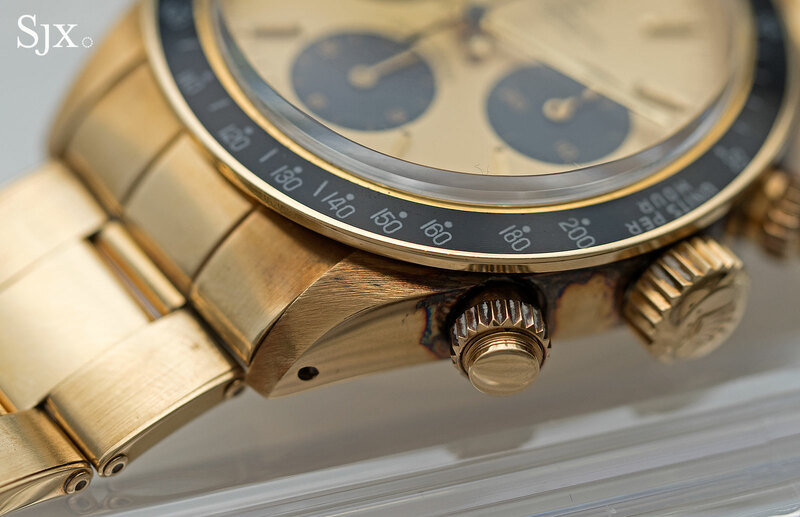 Even more in tune with today’s tastes than the GMT-Master is this Daytona ref. 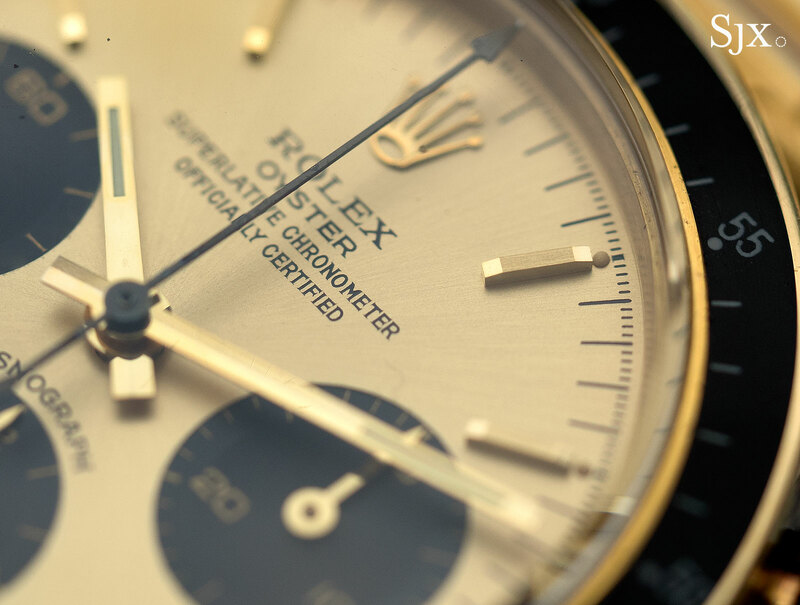 6265 in yellow gold. 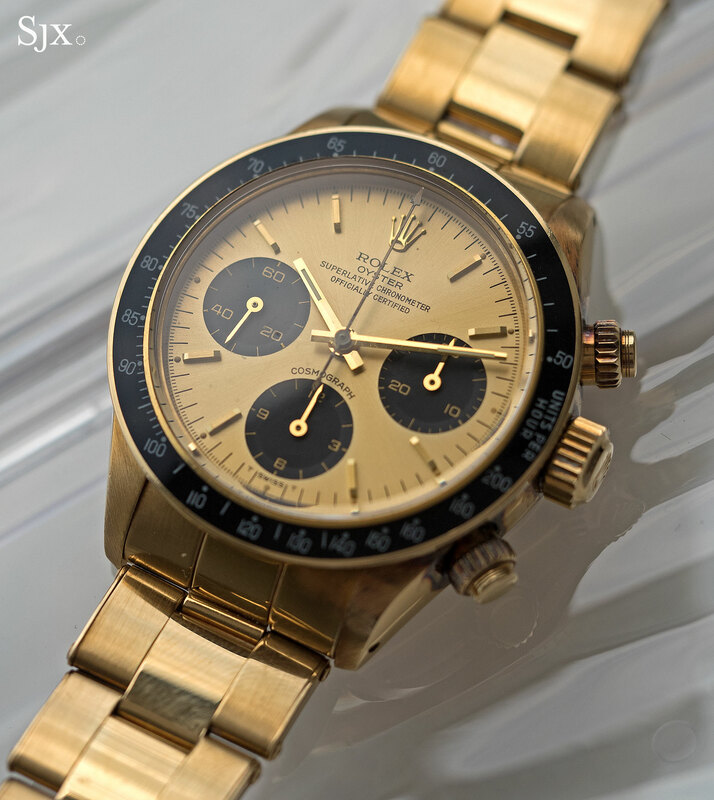 This 1979 example is in top condition, with a well preserved case that maintains its proper, original appearance along with all the gold hallmarks still visible. 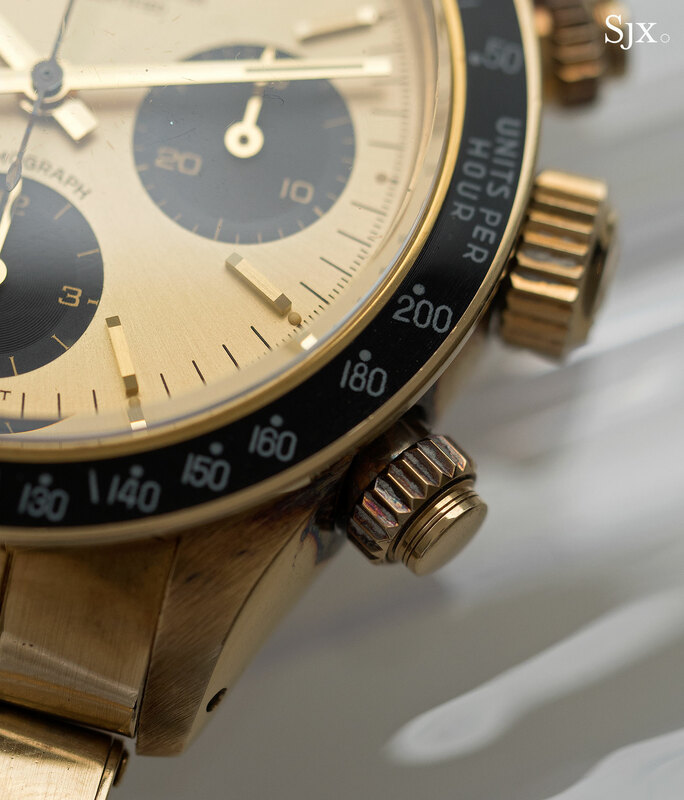 A top of the line chronograph in its day, the ref. 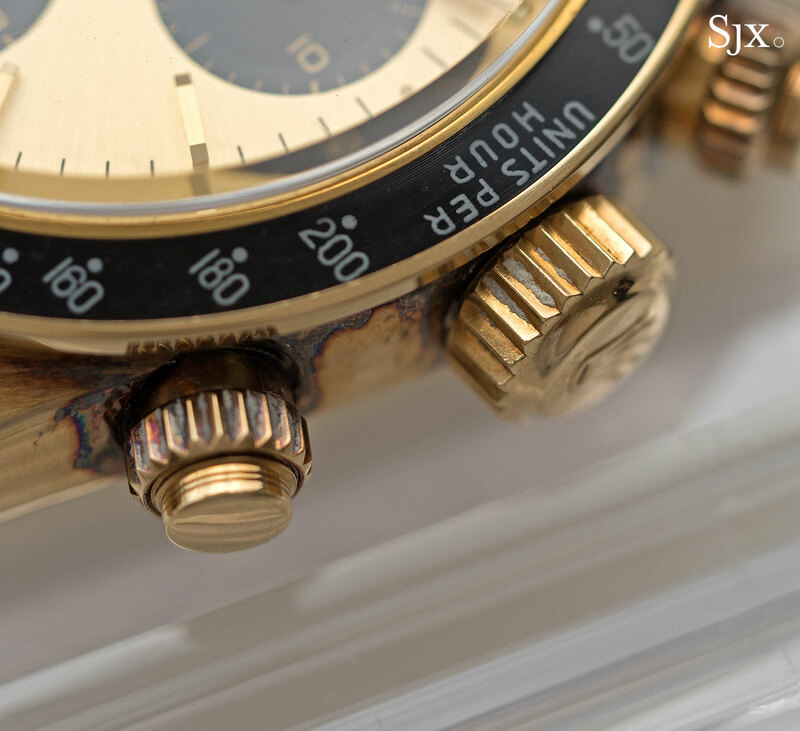 6265 was only chronometer certified in its precious metal guises, either 14k or 18k gold. 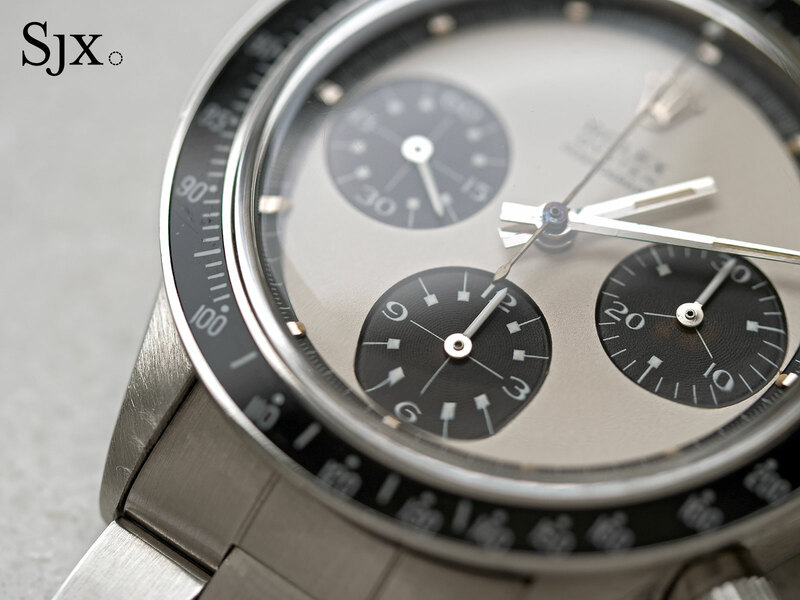 While it’s fitted to a black bezel that’s originally meant for the ref. 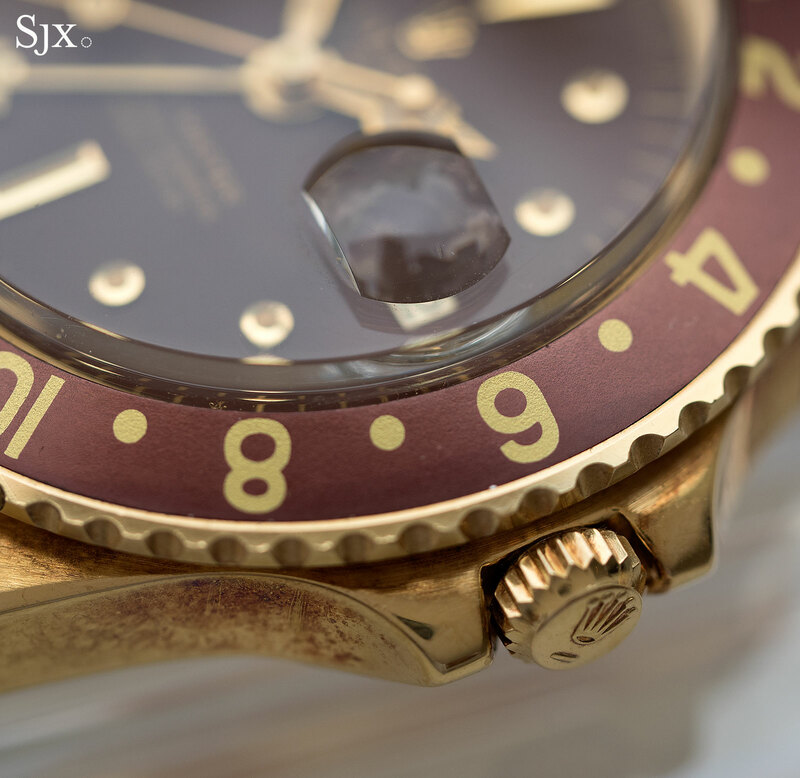 6263, the watch is accompanied by the 18k yellow gold bezel that’s correct for the ref. 6265. 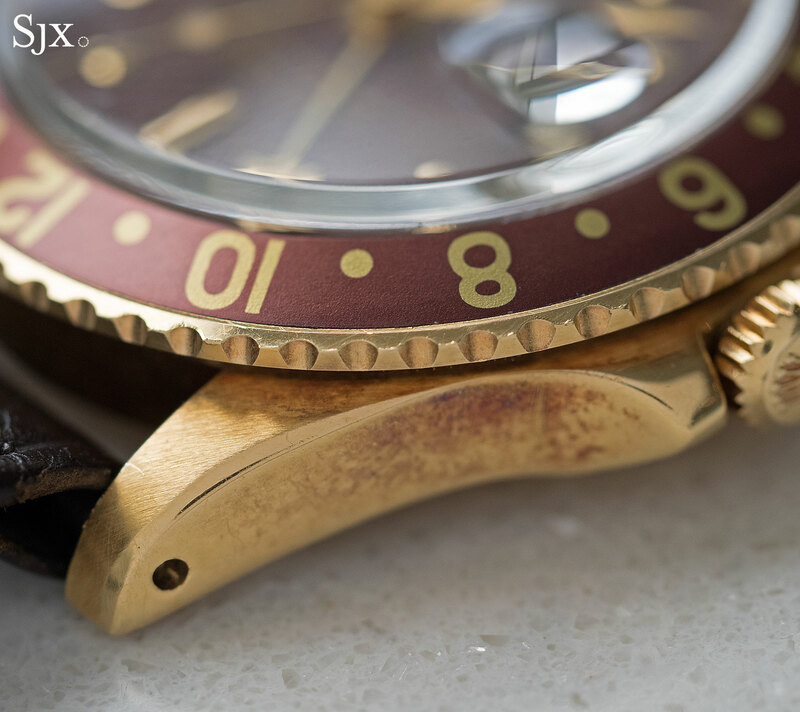 The watch is also fitted to a correct Rolex Oyster rivet bracelet that is in similarly excellent condition. This carries an estimate of HK$550,000 to HK$850,000, or US$72,000 to US$110,000. The double-barrelled nickname means this Daytona ref. 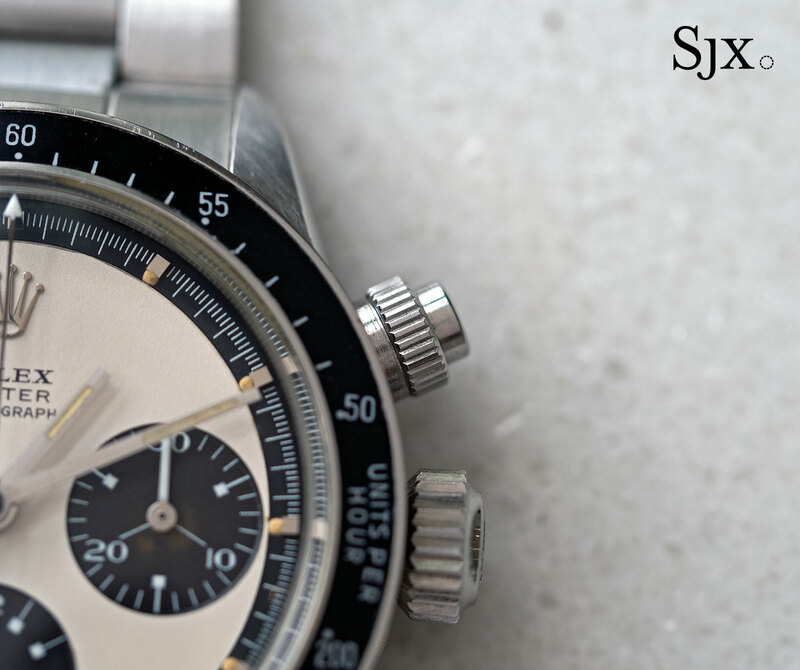 6263 is a notably pricey example. 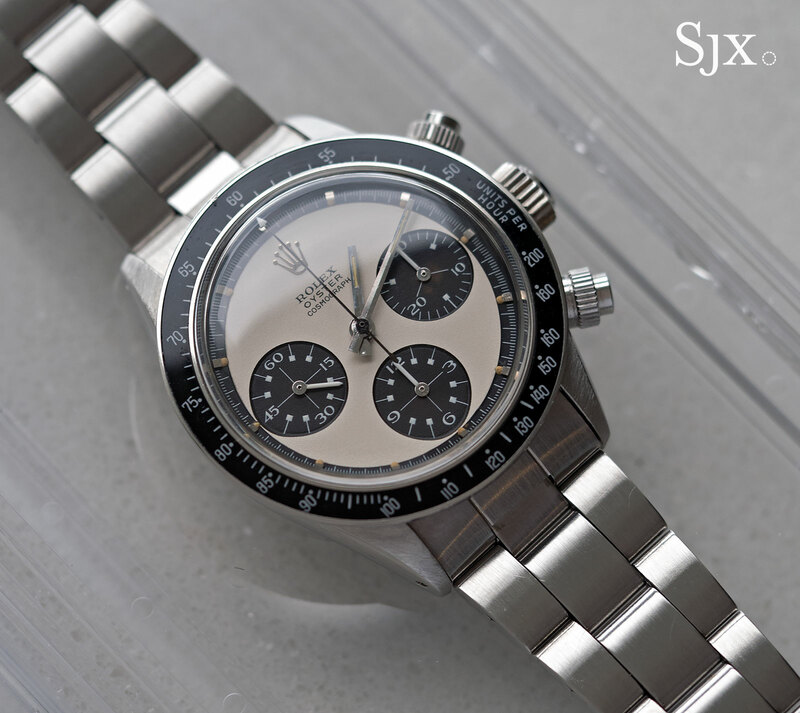 It combines several particularly desirable features: a “Paul Newman” type dial, the “Panda” colour scheme with black registers on a white dial, as well as the screw-down pushers typical of the ref. 6263. More importantly, this example is in sterling condition, having come from a Japanese collector who acquired it 25 years ago. 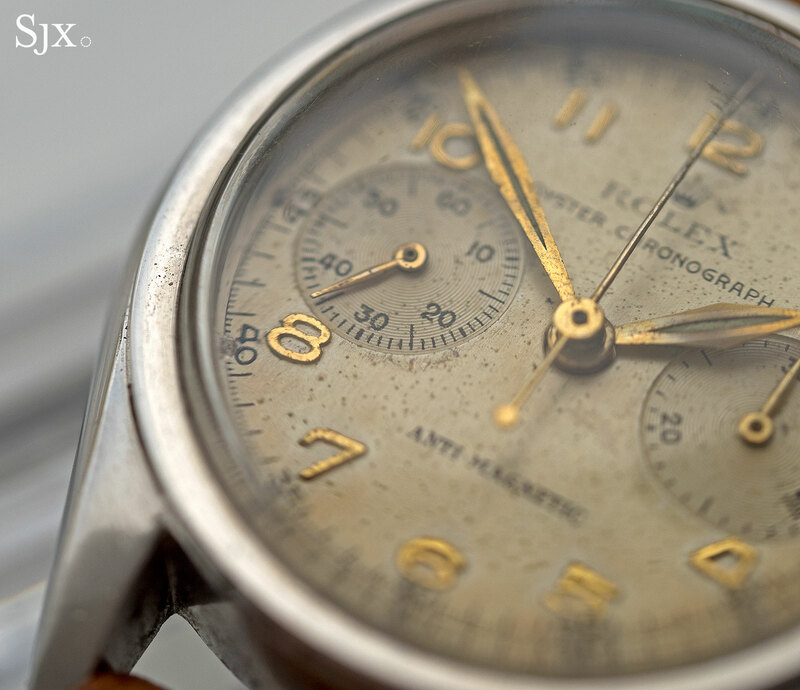 The case is crisp and well preserved, as is the dial. 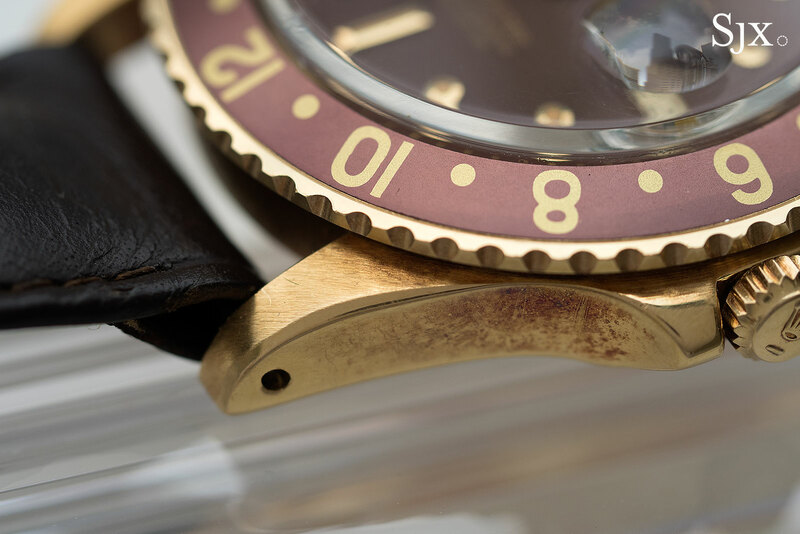 There is slight discolouration to the centre of the 30-minute sub-dial, which is not particularly appealing visually but perhaps of interest to diehard Rolex collectors since it indicates the sub-dial might be turning “tropical”. 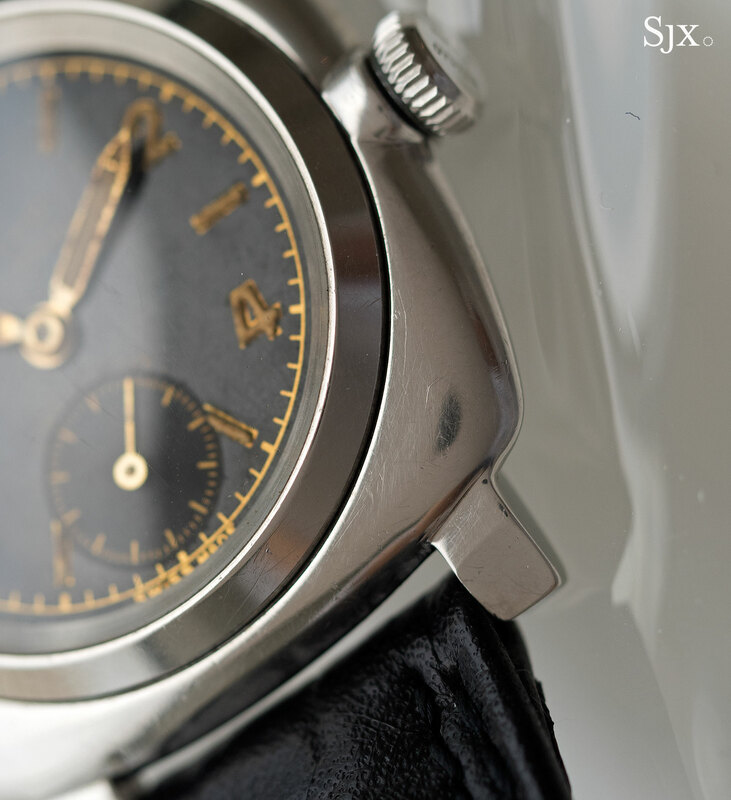 Additionally, this “Panda” is reassuringly correct, having “Mark 1” pushers, a “Mark 1” bezel as well as a crown that lacks the three spheres of the Triplock logo – typically parts that have long been replaced with newer components on such watches. 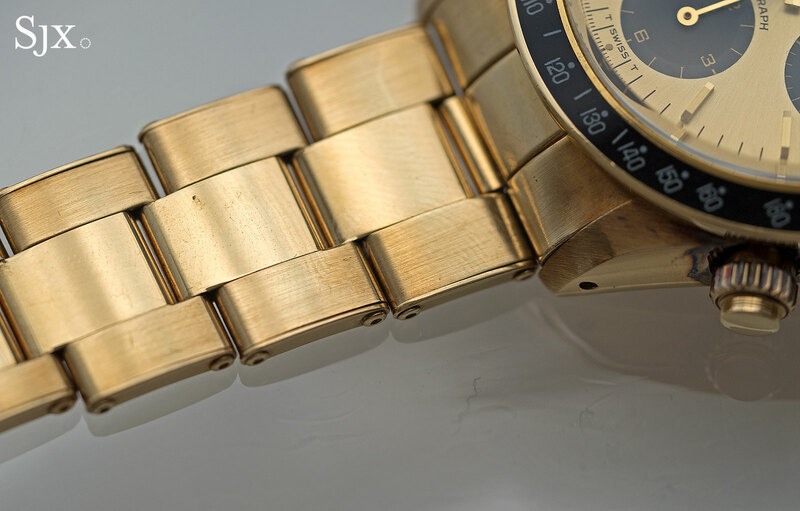 And the bracelet is period correct, as is the case back that is stamped “6239” inside. This is estimated at HK$1.5m to HK$3.0m, or US$200,000 to US$300,000. 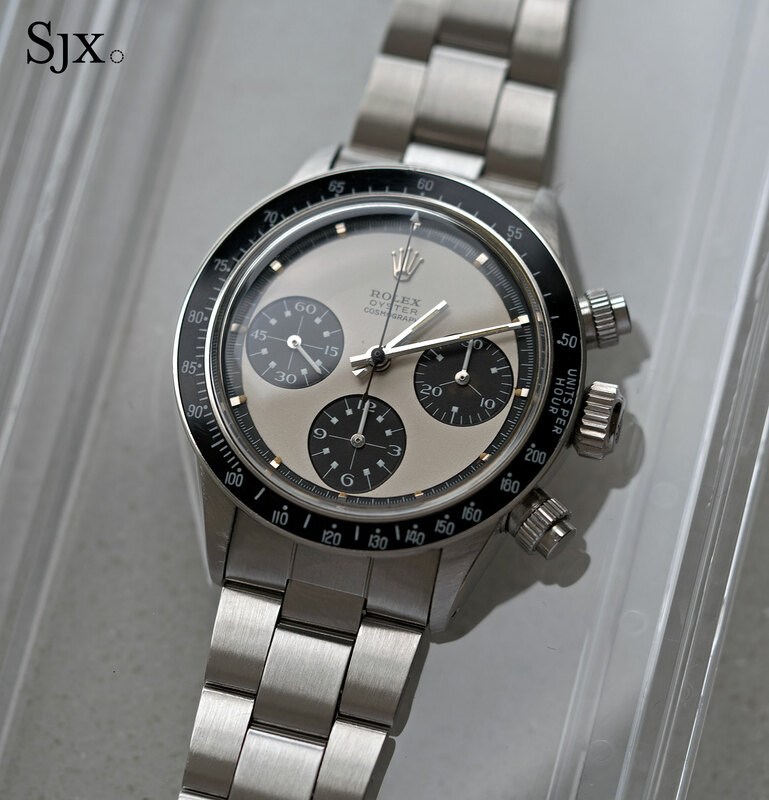 Finally the iconic Rolex Cosmograph Daytona is available in stainless steel with a bezel in black Cerachrom - specs and price below.